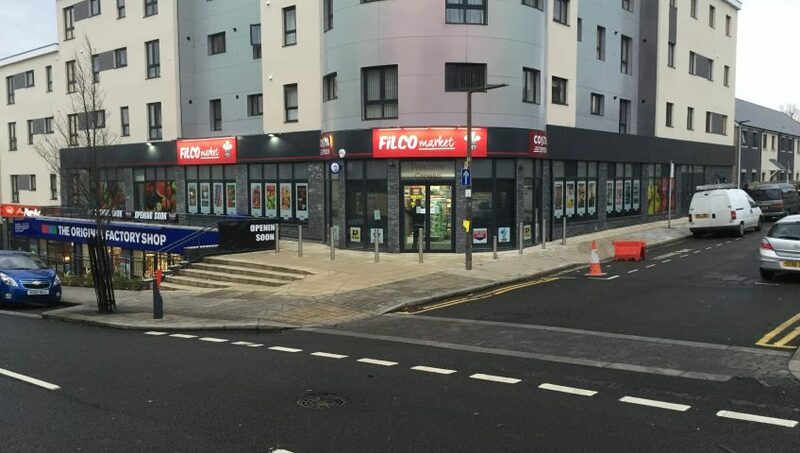 We were contracted by Filco Foods to development a number of their stores one of which was Barry. 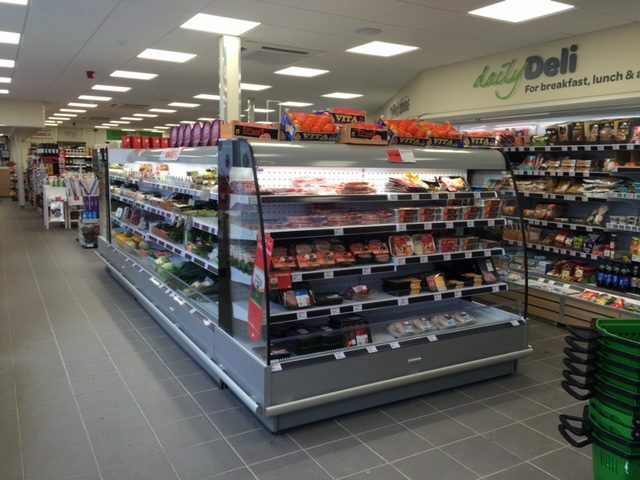 Flagship redevelopment of Spar Winford. 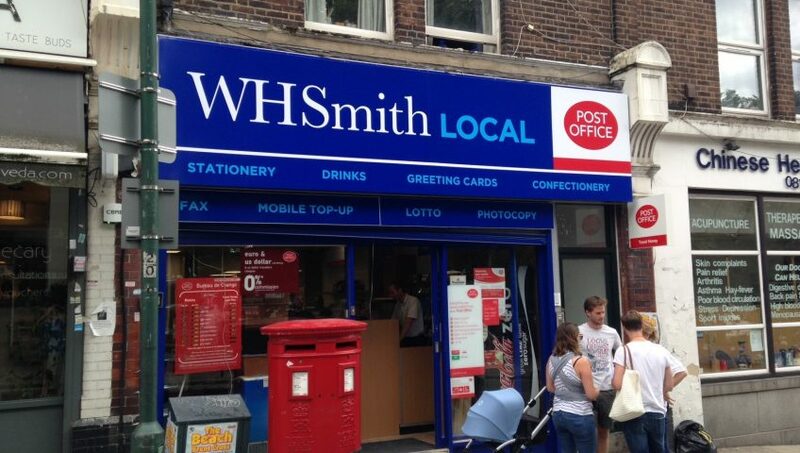 As well as creating items for new projects we also update tired looking shop fronts and give them a new lease of life. 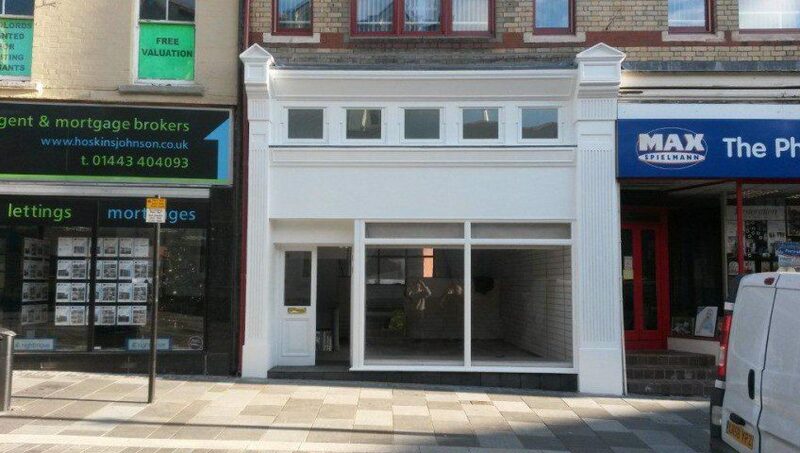 In Pontypridd we transformed a shop front my removing the existing one and replacing it with a new hardwood (Sapele) shop front including Pilasters, safety glass and manual door. 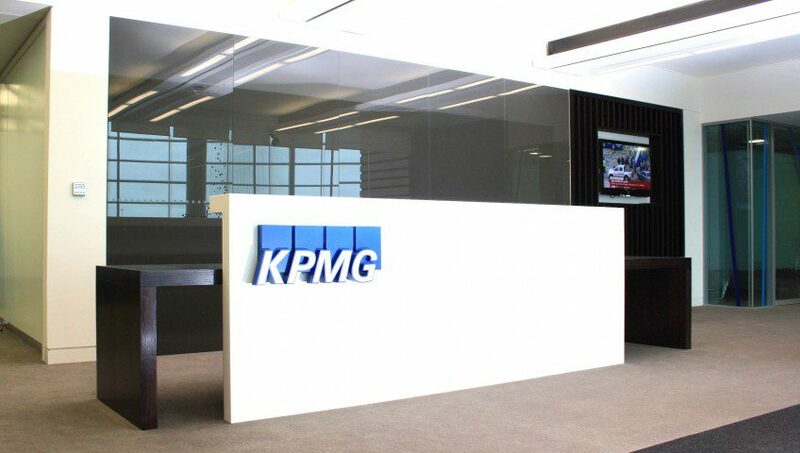 One of our biggest projects we worked alongside Paramount interiors to deliver at KPMG. 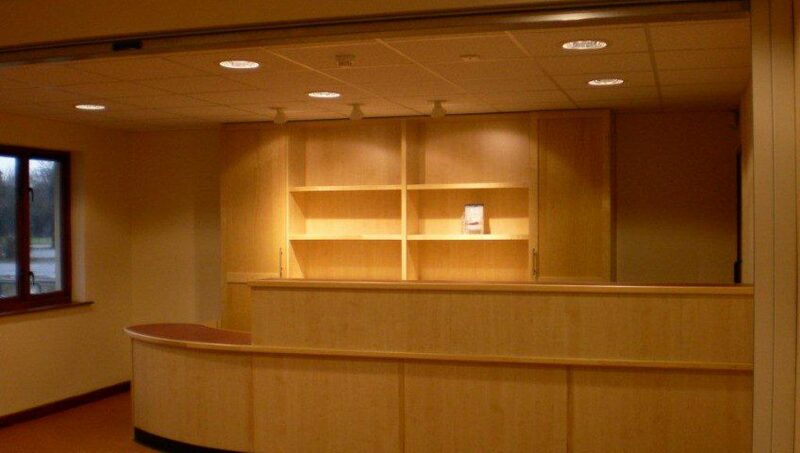 We put together a joinery package which included a bespoke reception desk, and kitchen work surfaces. This created a welcoming yet professional entrance to the offices. 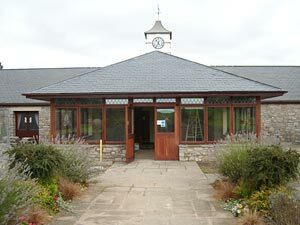 Our project for Cosmeston Lakes was the full development of the visitor centre. 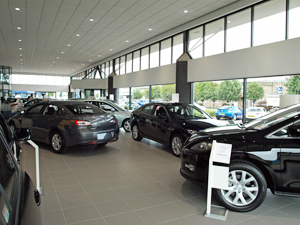 We made and installed brand new flooring and ceiling as well as effective lighting throughout the centre. We also created new reception desks and display cabinets which gave the visitor centre and a refreshing new look. 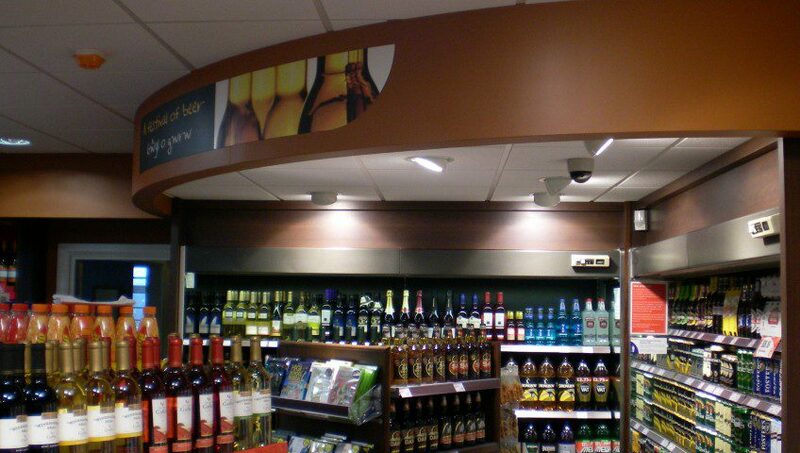 East in Leamington Spa was another one of our clients who we designed and installed bespoke items for their retail store. 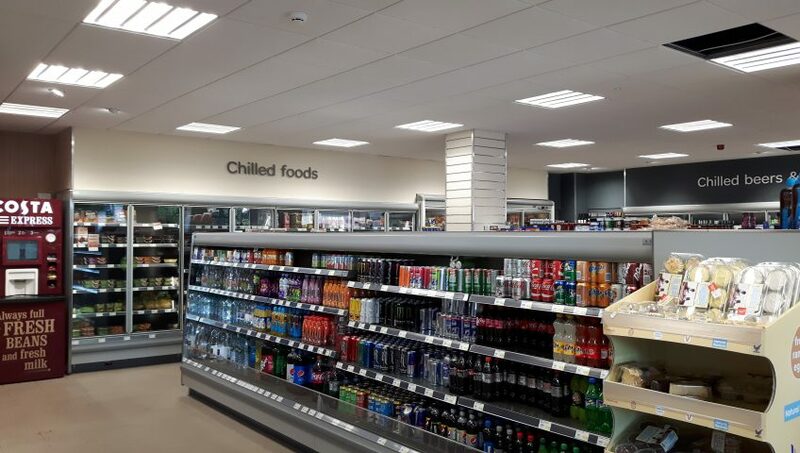 The full development project included retails counter, flooring, and shelving as well as bespoke clothing display which were made exclusively for East.